Remove and throw away the inner piece of the collar before using the collar. More details in FAQ section. Remove the collar from its package and allow it to remain outside for one hour, away from your pet. On the first day, use the collar on your pet outside and for one hour only, then remove. Each day following, increase the hours your pet wears the collar by one hour daily. 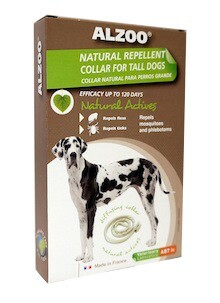 Continue for about four days to ensure the collar is well tolerated by your pet. If there is no allergic reaction, your pet may continue to wear the collar.